Hello! 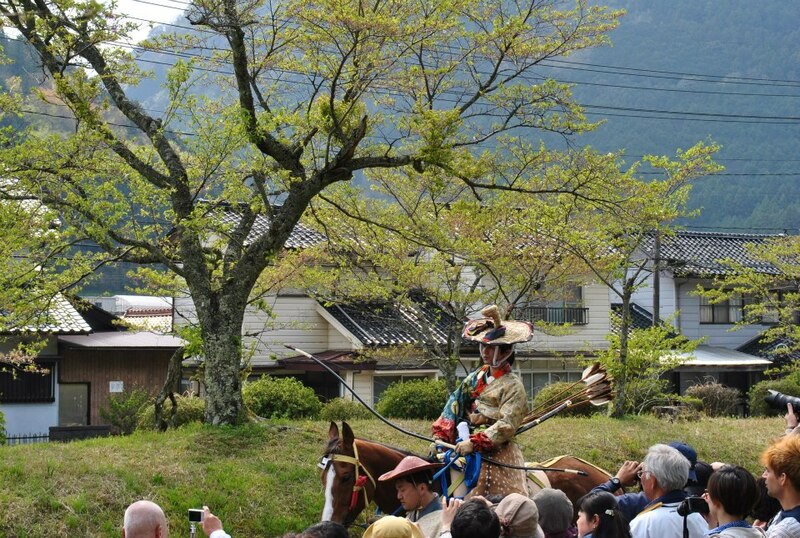 My name is Amber and last weekend many SES teachers went to see Yabusame in Tsuwano! 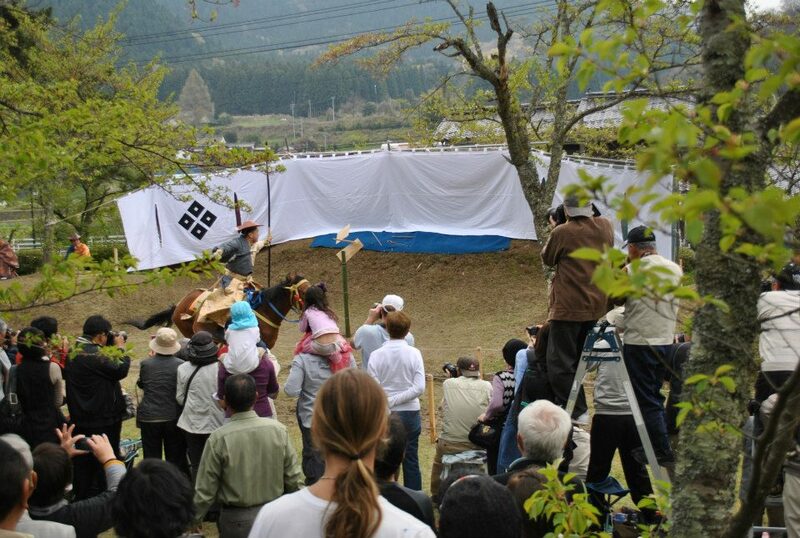 Yabusame is traditional Japanese horseback archery. 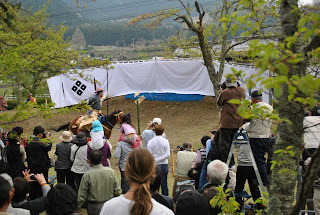 It was so exciting to watch. The men wear traditional, heavy clothes and carry a very large bow and a few arrows on their back. I was surprised how fast they ride their horses using no hands. The target is a very small diamond. They only have 3 chances to hit these targets.